EAT! is an awesome opportunity for young dancers (8–16) to work with great choreographers. contribute ideas to the show, and perform! This is a creation and performance project for younger and less experienced dancers. You will collaborate with choreographers and fellow dancers, develop creative and dance skills, and build confidence in a challenging yet fun environment. For many, this ‘chaos’ project is preparation for our Quantum Leap ensemble in later years – and plenty of older dancers are involved: challenging themselves, and inspiring younger ones. EAT! is all about food as fuel; too little, too much, too good, too bad! It explores concepts around finding a balance of what we eat, the traditions of cooking, the culture of eating and how we share a meal. In EAT! you will help create a full-length dance work over six weeks with lots of other young dancers. It will be developed at QL2 Dance’s studios at Gorman Arts Centre, and performed at Theatre 3 in Acton. There are three great choreographers to work with you under Artistic Director Ruth Osborne. Jack Zeising is an independent dance artist, now based in Townsville, QLD. Since graduating from WAAPA, he has danced for Expressions Dance Company and DanceNorth. He has been nominated for an Australian Dance Award for Best Male Dancer in 2013 and 2016 for his work with Expressions Dance Company. Caitlin Comerford is a Brisbane based dance practitioner, working in performance, installation and choreography. She is a co-founder of MakeShift Dance Collective. She was commissioned to choreograph for QL2 Dance in their Chaos project (Canberra, 2011 & 2012) and QUT for theOut of the Box Festival(2012)and has taught for ACPA, QUT, Brisbane Dance Artists Hub and EDC (Expressions Dance Company). Jamie Winbank is a Canberra based dance artist, choreographer and project manager. Along with Artistic Director, Ruth Osborne, Jamie presented a “Boys in Dance Workshop” during the Commonwealth Youth Dance Festival in Glasgow, 2014. Jamie has choreographed for previous Chaos projects, “For The Win” and “All The Things”. 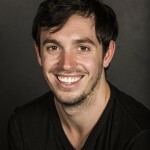 Jamie is the Creative Director/Choreographic Mentor for Ausdance ACT’s Youth Dance Festival. How to get into EAT! Register online atQL2.org.au — In the free audition, we will lead you through a dance class and some fun tasks and creative games. You don’t have to prepare — but it will definitely help if you are doing some dance classes before you start. We want lots of different kinds of dancers to have a go.